The circulation spaces of the hotel might not automatically strike people as the most glamorous, but their importance in any hotel refurbishment shouldn’t be understated. They essentially allow guests to circulate round the hotel, from guest room to restaurant, or bar to spa. 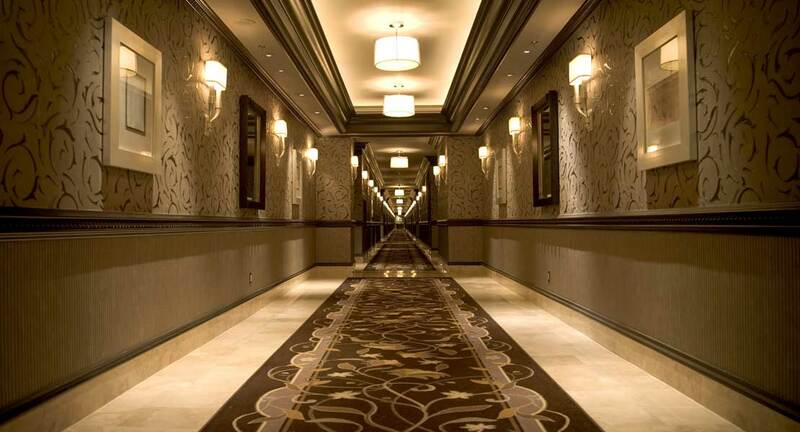 Hotel Corridors – When designing hotel corridors, the circulation space must be adequately lit, and include sufficient emergency lighting should evacuation of the hotel be necessary. Signage on walls and doors should be clear, unambiguous, and positioned at eye level. Emergency fire doors should be regularly positioned to break long corridors and help prevent the spread of flame in case of fire. The corridors should also be wide enough to accept a wheelchair and allow two people to pass comfortably. Carpet is preferred to hard floors in corridors, which can be noisy and disturb sleeping guests. Hotel Stairwells & Lift Lobbies – These should be wide enough for guests to pass each other comfortably. Once again they should be well lit areas to avoid accidents on stairs. The stairs themselves should have clear risers and treads preferably separated by contrasting nosings. As these are busy high-traffic areas, stairwells and lobbies are often carpeted to deaden sound. Escape Routes – Escape routes include back stairwells and corridors. 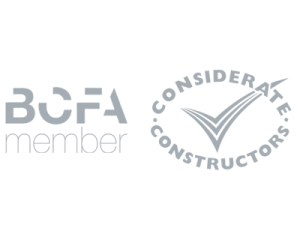 They should be clearly indicated with the use of emergency signage and should have an anti-slip floor surface to avoid slippages when in use. Escape routes should also be light spaces and should lead guests and staff out of the building by the shortest and safest route available. Now Read – Hotel Restaurant Design – Creating an Environment that Entices Guests to Dine.